Production of 3-Wheelers ceased in 1987 due to safety concerns as 4-Wheelers took over the market. Most Major race series then moved away from 3-Wheelers around that same time period. 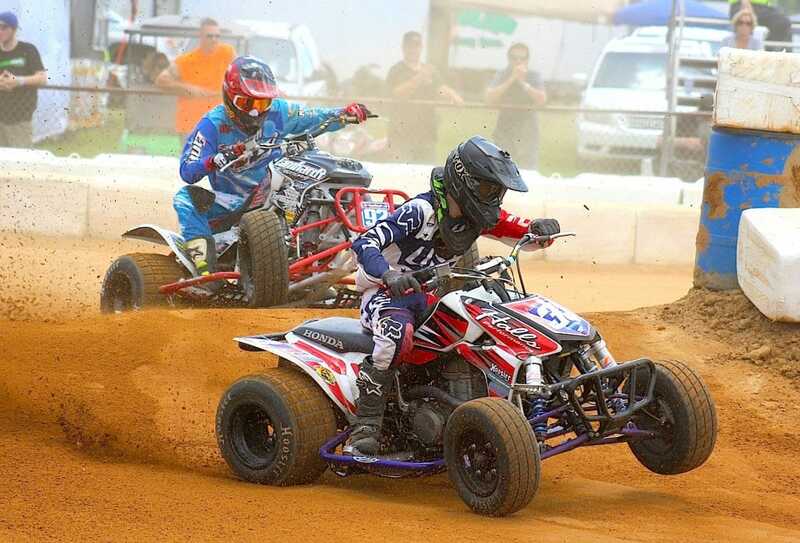 In 2014 the New East Extreme Dirt Track Series allowed 3-Wheelers back into the regular program as exhibition classes and they quickly grew over night. At one of the series largest Events in 2018 at Pine Lake Raceway one can easily find more than 100 of these 3-wheeler machines from the 80’s back on the track. You’ll see 20 riders at the line in some Main Events as the light turns green. One could have not have imagined an exciting sight like this at any Major ATV EDT, XC or MX National Event of the past 30 years. In 2018 a Major Millstone happened as a young man from Michigan, Jacob Hall (33), was voted by the riders of the series as the National EDT Amateur Rider of the Year. Hall is a 4 time 3-Wheeler Pro-am Open National Champion, 2018 Pro-am 330/450 Grand National Champion, 2017 and 2018 3-Wheeler Short Track National Champion, 2018 3-Wheeler Grand-am National Champion, and received the 2018 EDT Ironman Award to go along with being awarded the 2018 EDT Amateur rider of the Year. 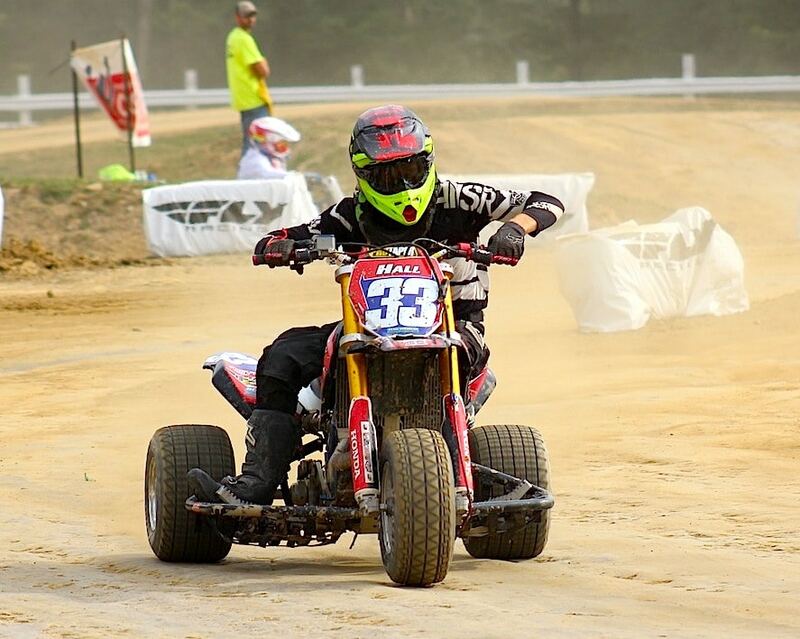 This young rider is one of the countries fastest and dominate 3-wheeler riders in the United States and also isn’t afraid to get on a 4-wheeler (33) which he is making the jump to the EDT Pro Ranks soon. 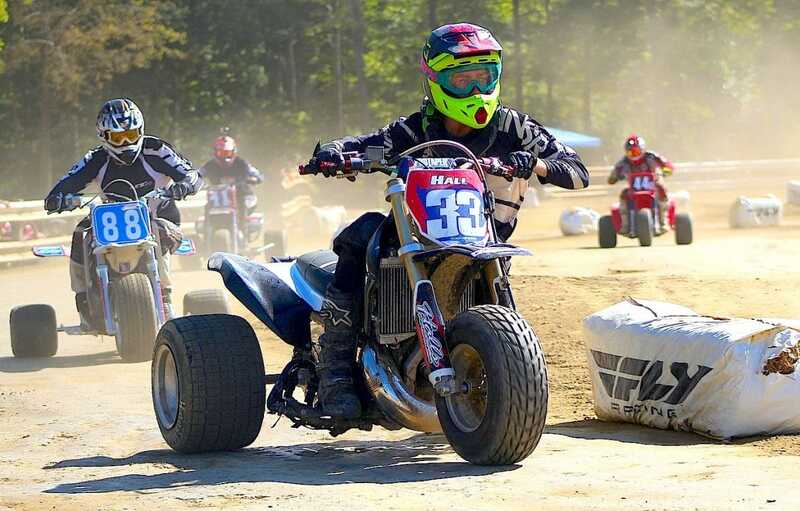 This might be the first 3-Wheeler Rider in over 25 years to receive one of the EDT National’s Highest Awards and Recognition as voted on by the riders of the NE Extreme Dirt Track National Race Series. It has taken over 25 years but it looks like 3-wheeler racing has made it’s way back onto the National Scene. If you would like to see 3-wheelers in action you don’t want to miss one of the biggest historic events in all of ATV History as Pine Lake Raceway in Ashtabula, Ohio will celebrate it’s 50th Anniversary of their EDT National Event. Likewise for any other of the series EDT Events all over the east coast in 2019.